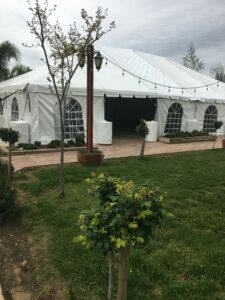 40X60 Wedding tent or canopy at a winery in Galt, Ca. 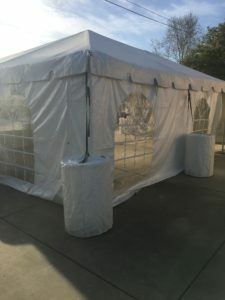 Water Barrels being used to support the tent in Stockton.We were not able to drive stakes in to the ground. 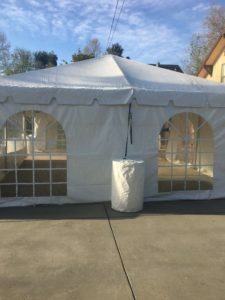 So, water barrels are used. 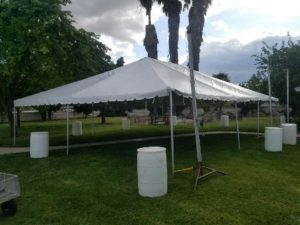 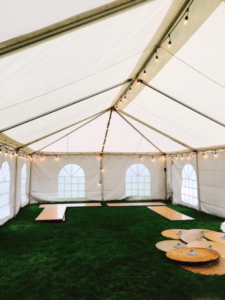 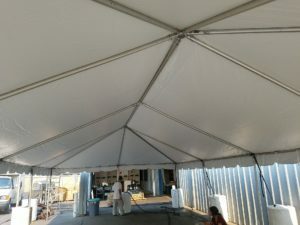 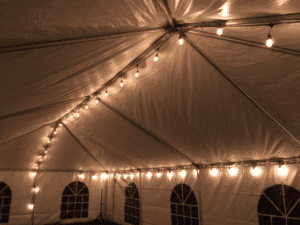 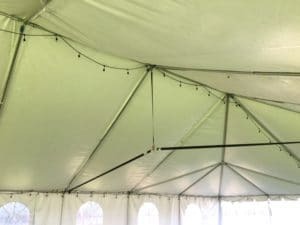 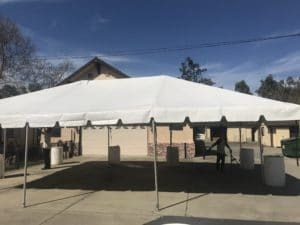 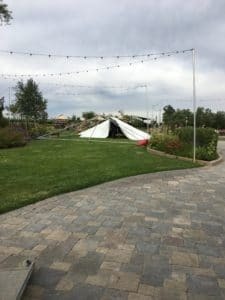 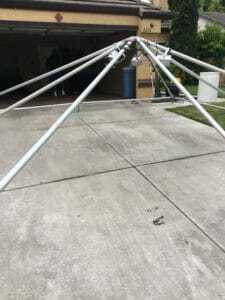 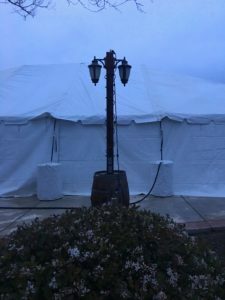 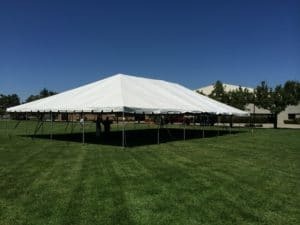 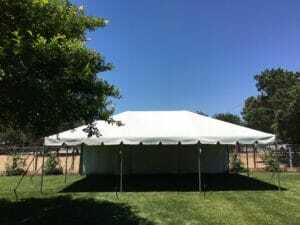 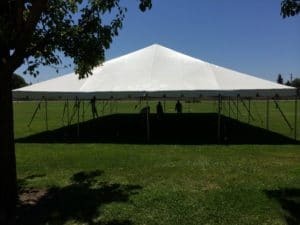 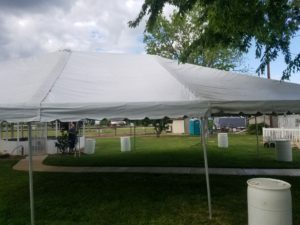 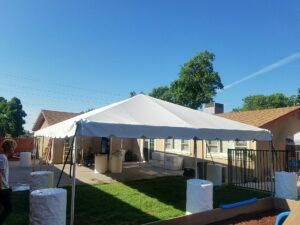 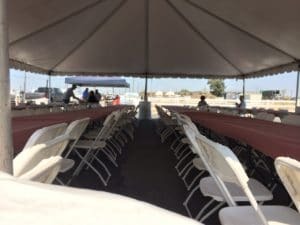 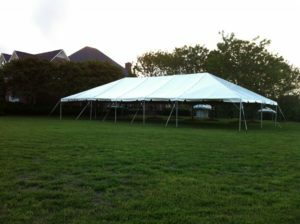 30×60 Tent Rental Lodi, Ca. 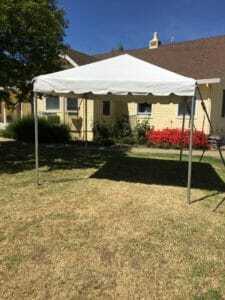 20×30 with Cathedral Window walls in Lodi. 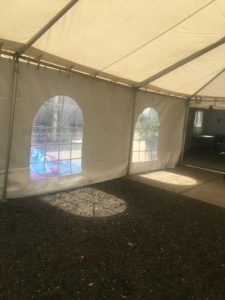 Side Walls cost extra. 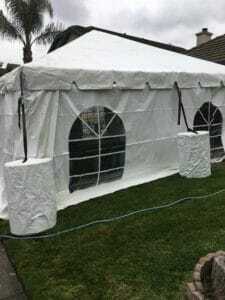 20×20 Tent being set up at home in front of a garage in Stockton. 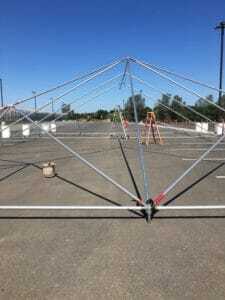 First we build the frame, put on the optional lights. 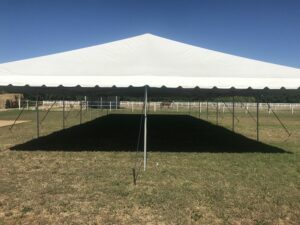 We need at least 5 feet all the way around to build the tent and allow for stakes and straps or water barrels and straps. 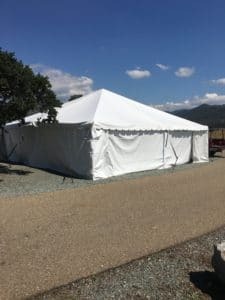 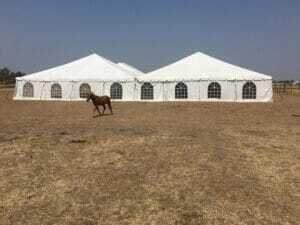 Wedding tent in Galt. 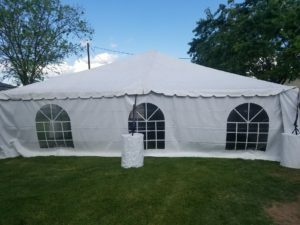 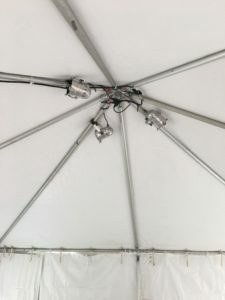 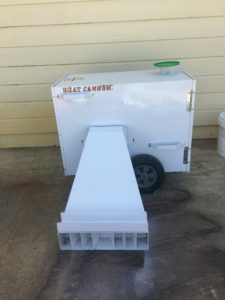 This customer used solid white walls on the back of their tent. 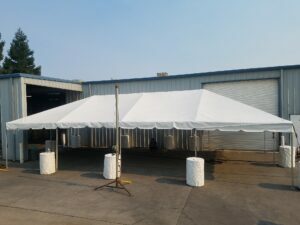 30×40 Frame Tent with rectangle tables and chairs set up for a buffet.